File Photo of Bru refugees in relief camp of Tripura. All Mizo NGO Forum, a coordination committee of all NGOs of Mizoram has unanimously urged the Mizoram government to close the never ending Bru chapter once and for all citing that the people of Mizoram as well as the state government has done everything in an attempt to repatriate the Brus. A meeting of all the NGOs of the state including the Central Young Mizo Association, Mizoram elders association, apex women’s body the MHIP, the two largest student bodies of the state, the MZP and the MSU declared that ‘enough is enough’ and demanded that the Mizoram government should end the imbroglio of Bru repatriation. “The Mizoram government and the Centre have done what it takes to repatriate the Brus, there has been about ten attempts to repatriate the Brus from North Tripura district, but all in vain. The Coordination Committee of all the NGOs of the state believed it is a high time to end the deadlock, either they come back now or enroll the Brus in Tripura electoral rolls,” a statement issued by the committee read. In 1997, some Bru miscreants killed a wildlife game watcher near Persang in Mizoram’s Mamit district. Fearing an ethnic backlash the Bru community people from Mizoram fled to Tripura in mass exodus. Till then, ten attempts were made to repatriate the Brus by the Mizoram government following the order of the Union Home Ministry; but only a handful of them have agreed to return. 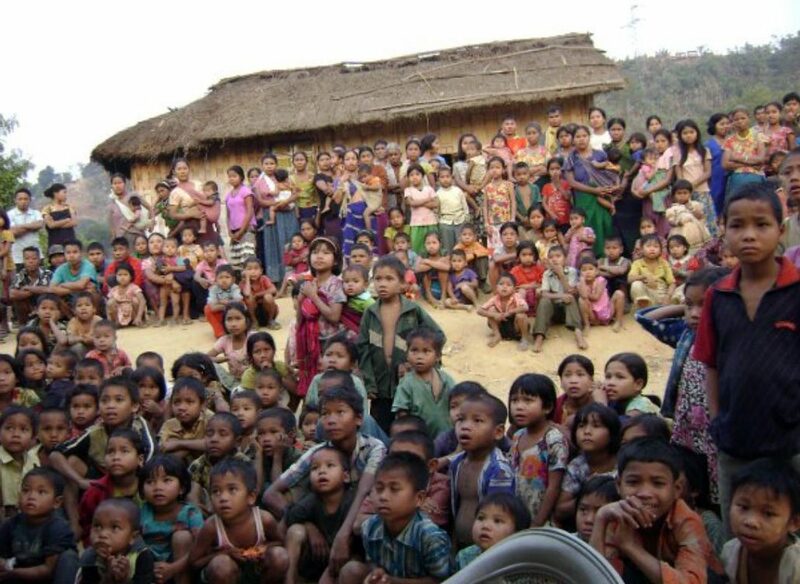 The larger NGOs of the state have demanded that a thorough identification of the refugees be made before any repatriation, which the Bru refugees have termed as a sign that they are not welcomed back to Mizoram. The Brus also demanded that they be resettled in groups which the NGOs of Mizoram are apprehensive of. NGOs said that group resettlement of the Brus would affect the political demarcation and wanted to resettle the Brus in their original villages before the exodus. The largest NGO of the state, the Central YMA has reiterated its stand that bona fide Brus of Mizoram are always welcome to come back, but said that large number of Brus now settling at the camps are not from Mizoram.